Underwater and topside filming with Sony cameras of MiniD, DVCam & HDV formats. Video editing with Adobe Premiere Pro and Sony Vegas Studio. 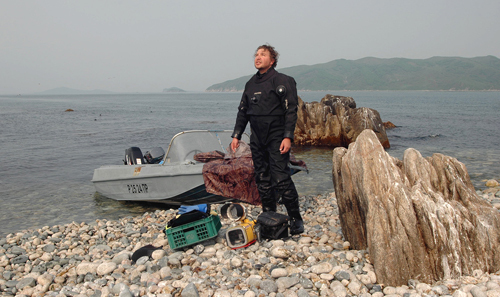 Specialized in dry suit diving. Over 15 years of experience of diving and filming in cold waters and under the ice. Experienced handling small boats and inflatables.